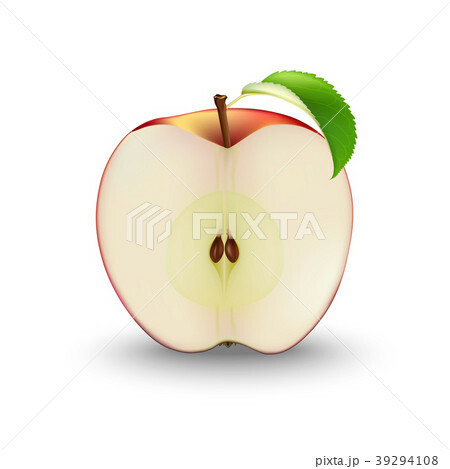 Vector Realistic Red Apple Cut in Half With Seeds and Leaf. Sliced Fruit. Detailed 3d Illustration Isolated On White. Design Element For Label, Web Or Print Packaging.